According to a recent interview with The Tap Lab, CEO Dave Biscegila has said that Apple’s new iBeacon technology has the potential to bring a whole new dimension to location based gaming. Currently, app developers are limited to determining a users location by the restriction Apple place on them by only making available for use the API of the internal GPS sensor, which does not deliver very accurate or consistent results, especially indoors. This is where iBeacon comes in. 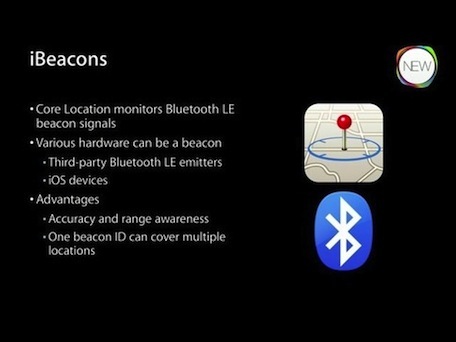 iBeacons are physical transmitter devices using Bluetooth Low-Energy to provide location information to nearby apps. When an iBeacon detects a compatible app in range, it can trigger an event, and because these are physical devices their accuracy is correct to within a few feet. It’s for this reason that iBeacons can be utilised for games that rely on location based events, such as geocaching, or other features at specific real-world locations. Dave Bisceglia’s company, for example, is behind a location-based game calledTiny Tycoons. In the game the idea is to travel around the world and claim real-world locations, a bit like a cross between Foursquare and a city building strategy game. RISE TO THE TOP: In Tiny Tycoons, you can be a Celebrity Chef at a 5-Star Restaurant, the Lead Barista at your favorite Café, or a Millionaire CEO with offices around the world. The choice is up to you! Bisceglia states that they are currently testing an internal version of Tiny Tycoons which takes advantage of Apple’s iBeacon technology which alerts players when they are entering a building which is controlled by another player. Utilising iBeacons to trigger in-app events is a fantastic use of the technology, and brings real-world events into the virtual world. The possibilities are endless for iBeacons, and if coupled with territory games, seems to make things a lot more interesting, for some reason. Let us know what you think of the idea of using iBeacons in gaming, and the possibilities it may open up.